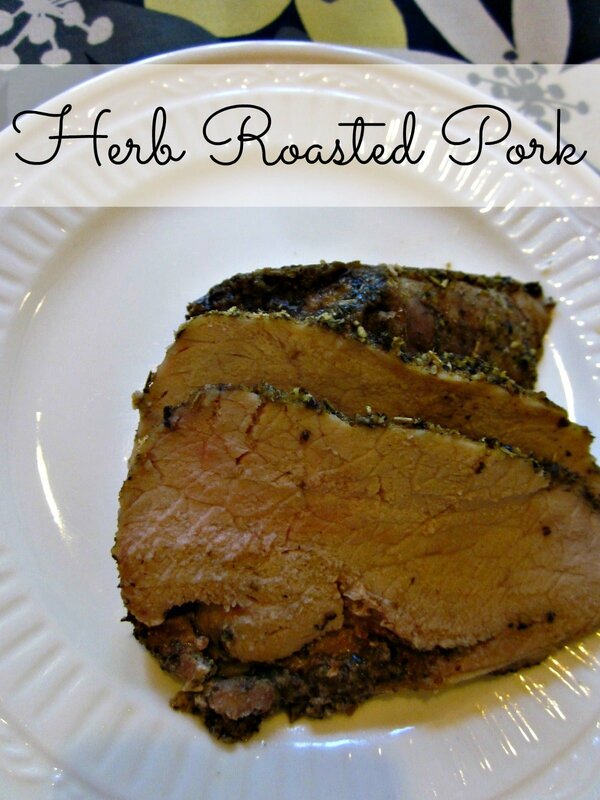 This Herb Roasted Pork is one of my family’s favorites because of the flavorful rub and how tender the meat comes out. I love it because it takes minutes to prep and then the oven does all the work. It does have a long cooking time (1-2 hours), so keep that in mind when adding it to your meal plan. This spicy Herb Rub would taste great on chicken, too, if you’re not a fan of pork! With the warmer weather upon us, it’s time to switch from the oven to the grill, and this recipe should transfer well. Just make sure you use a thermometer to check that your pork reaches a safe cooking temperature. Rinse the pork loin and pat dry with a paper towel. Combine all the spices and Parmesan cheese in a small bowl and combine to make the Herb Rub. Apply to all surfaces of the pork roast and place in shallow pan (I use a 9x12). Roast in oven for 1-1.5 hours (approximately 20 minutes per pound), or until temperature reads 145 degrees. Remove roast from oven and let rest for 10 minutes before slicing to serve. I’ve been buying a four-pack of boneless pork loin roasts from Costco since they’re priced at $1.99/lb. Between this, the Slow Cooker Pork Ragu & Fettuccine, Pineapple Pork Chops, and Slow Cooker Pulled Pork Sandwiches I’ve got a whole month’s worth of pork meals in my rotation. This Herb Roasted Pork recipe is linked up to Tasty Tuesday at Balancing Beauty and Bedlam and Fluster’s Creative Muster Party at Fluster Buster. This recipe looks wonderful. I stock up on pork loin roasts when the are $1.99. I even have the butcher cut it up into chops for me. Thank you for sharing this on Fluster’s Creative Muster Party!